Ditch the wallet and go slim. 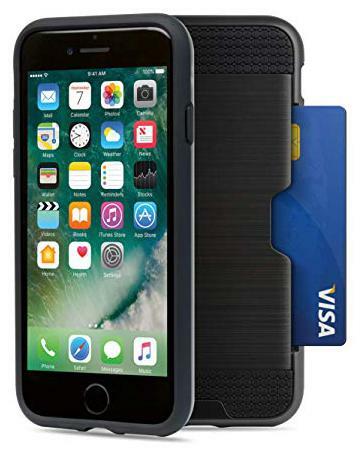 AT&T, the leading American brand that s synonymous with innovation in communications brings you a slim profile wallet case for iPhone 7 and iPhone 8. It allows for easy access to all buttons, camera, speaker and connector. Enables charging without removing the case. With ultra-light and durable construction it's both thin and well-protected. Get your daily baggage under control and let the wallet slayer simplify your life.